A Grand Prize in the Hardware/Appliance Category of the 2012 Powder Metallurgy Design Excellence Awards Competition was presented to ASCO Sintering Co. for a Copper-Infiltrated PM steel inside deadbolt chassis assembly for a new commercial electronic lock system won a grand prize in the hardware/appliances category. Made to a density of 7.4 g/cm3, the part has an ultimate tensile strength of 110,000 psi, 75,000 psi yield strength, and 100 ft·lbs un-notched Charpy impact strength. Maintaining the density between the hub and flange is especially critical. The part has two PM posts manufactured and installed while maintaining true position and perpendicularity. Secondary operations include adding the tapped posts, two slots on the shelf flange, two counter-bore, and a countersink. 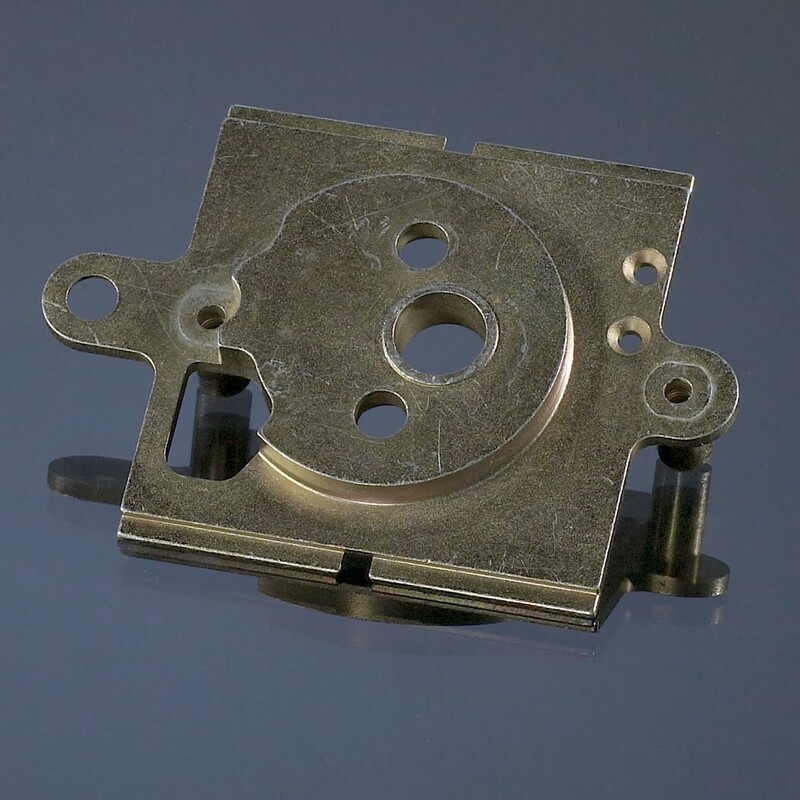 PM was selected over castings and stampings, which could not meet strength or Builders Hardware Manufacturers Association requirements for integrity during high-temperature tests. Minimizing the secondary machining operations also provided a 75% Cost savings when compared to traditional machining methods.